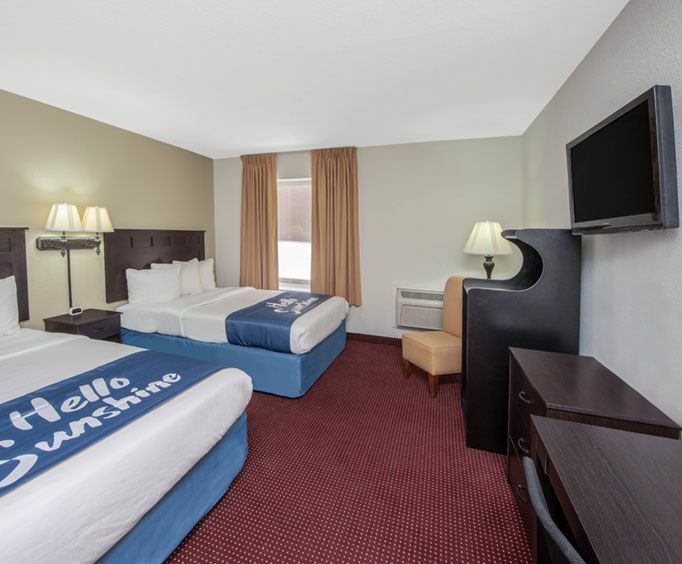 The Days Inn & Suites is located in the heart of Branson, just a mile away from the Rick Thomas Illusionist & Magic Show and located near Highway 76 and the Branson Landing. It is the perfect place to call your home away from home the next time that you visit the beautiful Ozarks region. The hotel itself is gorgeous and immaculate. The two-story brick building surrounds the outdoor pool on all sides, providing a feeling of security while swimming or sunbathing. A large covered patio next to the pool is ideal for outdoor eating or drying off after a long swim. The hotel was completely renovated in 2014, ensuring a pleasant experience for all who visit. Coffee and tea are available in the common areas, and every room features free cable television and high-speed internet. Branson features hundred of shows, stores, and restaurants, and hotel staff can assist in purchasing tickets for local events or tours. This convenience makes it a great choice, allowing guests to relax and unwind with awesome amenities and helpful travel advice to the nearby attractions. The hotel is home to countless amenities that will help make your vacation both relaxing and unforgettable. 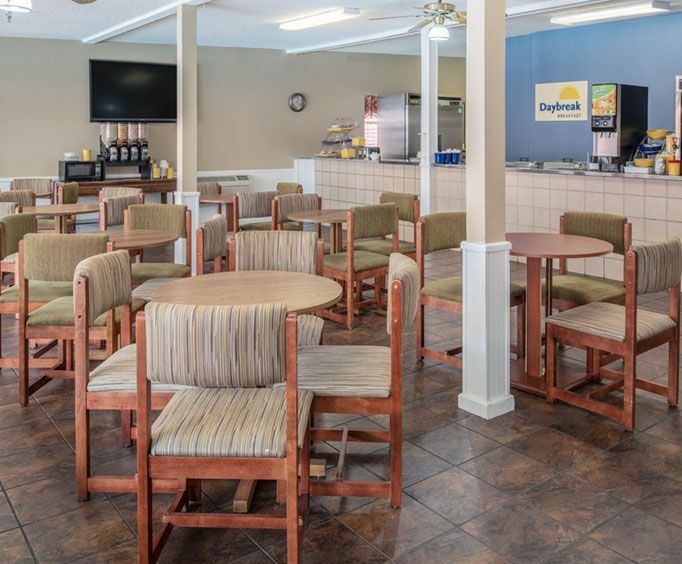 With a 24-hour reception desk, bus/truck parking, daily housekeeping, free breakfast, free parking, free Wi-Fi, laundry facilities, RV parking, meeting and business rooms, a fitness center, and more, there truly is no better place to stay while in Branson! 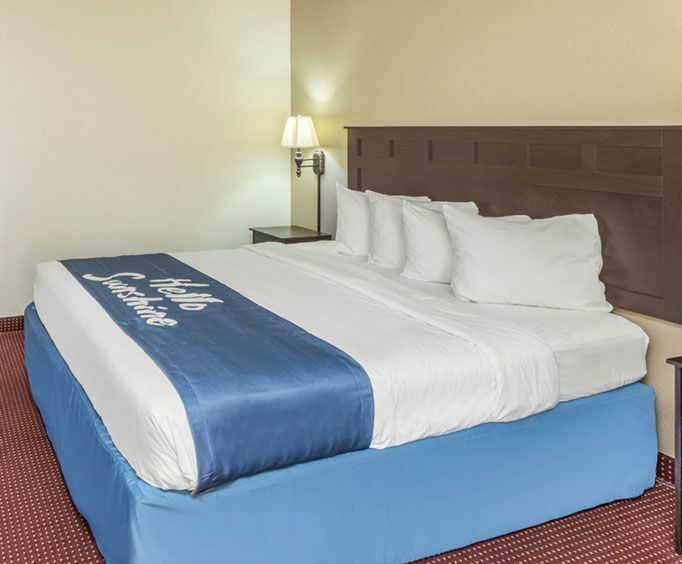 As well as providing a comfortable place to rest up and relax, the hotel is also conveniently located nearby tons of Branson favorites such as Dolly Parton's Stampede. Branson Landing, a great destination for food, shopping, or just enjoying the beautiful lakeside view, is only five miles down the road. As far as shopping goes, visitors can easily visit tons of shops and eateries such as Belk, Bass Pro, Big Whiskey's, and more all lakeside to the beautiful Lake Taneycomo. Silver Dollar City, an 1880’s themed-park, just under eight miles away. Branson is an amazing city to visit, and the Days Inn & Suites is ideally located to help anyone have the best visit ever.